Jay O’Keeffe, You Could Have Told Me That in the First Place: Five Tips that Might Have Saved a Young Lawyer a Lot of Trouble, 52 U. Rich. L. Rev. Online 53 (2017). In modern America, you will be able to distinguish yourself in most fields of endeavor just by being a decent technical writer. When I say “a decent technical writer,” I do not mean being technically good as a writer—that is, knowing and following the rules—but being competent in technical writing, the specialized genre of nonfiction writing required to communicate with others in your field. This is especially true for lawyers because we rely so much on written communication that we are basically professional writers. But despite being professional writers, we often show little interest in our craft. Writing is a skill, and one that you can improve with careful practice. In my experience, improving your writing has the highest return on investment of anything you can do with your free time as a young lawyer. It does not just make you a more effective lawyer (although it does do that); it also opens up worlds of business development opportunities. With that in mind, here is a simple, workable strategy to make yourself a better writer. Read good writing. With a few notable exceptions, legal writing does not count. Instead, immerse yourself in nonfiction by talented writers. Michael Lewis, Malcolm Gladwell, and David Epstein are great role models. Note how they use concrete examples to illustrate abstract points (and, by extension, how they avoid meaningless formalisms). Pay attention to the way they engage contrary arguments, and compare it to the paranoid hysteria that you see in your average legal brief. Even the rhythm and beats of their writing are worth emulating. Try finding a page that you like and typing it into your laptop, just to get a better sense of how the writing flows. Learn the rules. You will internalize most of the important rules just by reading good writers, but it never hurts to have a copy of The Redbook handy. I know that everyone swears by Warriner and Strunk and White, but The Redbook has been my go-to source for years. A good usage guide and legal dictionary are also important. Do your homework. The world is not overflowing with good books about legal writing—but those that we have are quite helpful. When I worked at a mid-size firm, I gave every single new associate in our practice group copies of Making Your Case and The Curmudgeon’s Guide to Practicing Law. Both are outstanding; word for word, Herrmann’s “Memorandum from a Curmudgeon” is the most useful legal-writing advice that I have ever received. The Winning Brief is priceless; its suggestions about structuring the writing process alone justify its cost. Ross Guberman’s Point Made offers a bevy of actionable tips and actual examples from outstanding briefs. Typography for Lawyers will open your eyes to a welter of persuasive tools hidden in your word-processing application. On Writing, On Writing Well, and The Sense of Style are not limited to legal writing, but also offer excellent advice. Practice deliberately. If you are reading Gladwell and Epstein, then you will soon encounter the concept of deliberate practice: intentionally, thoughtfully, and painfully working to improve the weakest parts of your craft so that, over the course of years, you can improve your abilities. Apply those lessons to your writing. Identify your weaknesses and work consciously to improve them. To further stand out, you can apply a similar method to improve your public speaking: (1) buy good books on public speaking and body language; (2) study and model outstanding public speakers; and (3) identify and seize every opportunity for deliberate practice. During my time at large and mid-sized firms, I developed a theory about surviving in corporate legal environments: the trick is to make yourself indispensable to people who control your fate. I know that that sounds obvious and trite, but bear with me. 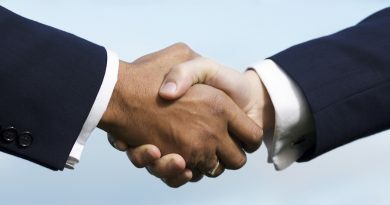 A law firm works as a business only so long as clients hire partners to provide legal services. That is how a firm keeps the lights on; fees are the life blood of a firm. And those fees are paid by clients. This makes a partner’s relationships with her clients precious. Clients are her contribution to the firm’s continued vitality, and her most valuable currency vis-à-vis her peers. Her book of business largely determines her standing within the organization—and her ability to leave if the organization is not managed to her liking. That defines both her professional status and her ability to provide for her family. Client relationships are a huge deal. But a profitable partner cannot do all the work necessary for clients herself. She needs junior lawyers to shoulder some of that burden. To some extent, every single assignment she delegates is a risk. Will the associate’s work be good enough? Will it be delivered in a way that satisfies the client? So when a partner delegates work to a junior lawyer, she is not acting out of laziness or malice. Instead, she is paying the associate her highest professional compliment: she is trusting him with her clients—her most valued professional assets—and relying on him to deliver the same quality of work that she would provide herself, if she had capacity. Even after I figured that bit out, I still labored under the misapprehension that my job as a junior lawyer was simply to deliver the best possible work to the client. I was wrong. The trick to surviving in a corporate legal environment is realizing that you have two clients: the actual client, and the senior lawyer who controls the workflow. Your job is to keep both deliriously happy. And the trick to doing that is learning to instill confidence in both, so that they can relax and let you do your job. You do that not only by delivering excellent work, but by doing so in a way that telegraphs that you have things under control. Let us go back to our hypothetical partner. Say that she has an important client who is involved in high-stakes litigation. She is looking to staff the matter. Two associates have capacity. Associate One is a tortured genius. He joined the firm after a federal circuit clerkship. He rolls into the office around 11:00, works late, dresses on the shabby fringe of business casual, and waits until the last day of the month to enter his time. Everything about the way that Associate One treats his colleagues suggests that he is surrounded by imbeciles. He delivers outstanding work, but often at the last minute and with minimal communication ahead of time. He is heavily resistant—even resentful—when other lawyers offer criticism. But, to be fair, his work is brilliant and he may be smarter than the lawyers critiquing him. And he has not actually missed a deadline, at least not yet. Associate Two shows up at work every day at 8:00 a.m., smartly dressed, as if she is ready to head to court. She is a rigorous scheduler, an energetic communicator, and a charming interlocutor. Associate Two calendars deadlines and reminders, and she shares them with the case team. When she is working on a matter, she regularly updates her team members on her progress. Associate Two maintains an upbeat demeanor around the office. She treats people with respect, and generally has a positive disposition. Her work is always good—polished, careful, and always on time—but it is rarely brilliant. She is responsive to constructive criticism. Who is the partner going to pick for her project? It is not a hard decision. Associate Two will make the partner’s life easier. She will accept guidance. She will do the work. Will it be brilliant? Maybe sometimes—but it will always be good enough to impress the client and protect its interests. And it will be delivered in a way that lets her supervisor sleep at night. If the junior lawyer and the senior lawyer can both perform a task, then it is the junior lawyer’s job. This saves the client money and takes an item off the senior lawyer’s plate. It also further entrenches the junior lawyer in the project, helping to make her indispensable. Actively seek opportunities to take a larger role in the project. The more that you are doing on a project—and the more burdens that you shoulder on the senior partner’s behalf—the closer you are to being indispensable. There is no such thing as a draft. Every document submitted to a senior lawyer or client should be as close to perfect as you can make it. If you have questions, include them in brackets or comments. But do not leave gaps in the document or obvious further work to be done. When setting deadlines, the schedules of the client and senior lawyer always get priority. If a brief is due on Monday, the draft cannot be delivered on Friday afternoon. If either a junior lawyer or a senior lawyer has to work on a weekend, it is the junior lawyer’s job to take the hit. That is unfair, of course. But taking one for the team builds goodwill and helps ensure that you will get future work from the senior lawyer. Calendar every deadline, along with a reminder. Send invites to the senior lawyer. Let her know that you are on top of things. Return calls the same day, if not sooner. Smile, and at least pretend that you are having fun. That goes a surprisingly long way. One more point: at a law firm, you are always “on”—that is, everything that you do is being noticed and evaluated by senior lawyers. There is no such thing as a quick-and-dirty project. As far as the organization is concerned, everything that you do is a reflection on your quality as a lawyer. An early mentor of mine, Greg Haley, gave me this advice. One of the blessings of being a junior lawyer is that you actually get to dig into the law. You can use this to your advantage. And you should, as often as possible. For example, much of the routine work in law firms is done by pulling a template document and modifying it to fit the facts of a current case. That is fine, as far as it goes, and it is often efficient. But there is no rule that says that you have to do things that way. The first time a partner asks you to prepare a rote document, do the actual work, whether you can bill the client for it or not. Read the rules. Read what Wright and Miller or Sinclair and Middleditch have to say. Pull the leading cases. You will gain useful context for the current project, but more importantly, you will build a knowledge base that you can carry with you for the rest of your career. Over time, you will distinguish yourself from your peer group. This is a tip that I picked up from another mentor, Cordell Parvin. There are 168 hours in a week. Assume that you owe about sixty hours of work per week to your employer—that is, about forty billable hours, which will take an estimated sixty hours to accomplish. Say that you also need to sleep eight hours per night. That is another fifty-six hours. This still leaves fifty-two waking hours. Here is Cordell’s observation: the way that you spend the sixty hours will determine the quality of your career. The way that you spend the fifty-two hours will determine the quality of your life. Consider those sixty hours of work. You can spend them just accepting every assignment that comes your way. That is what I did at the start of my career. I thought that I was being a team player, but really I was being a chump. A wiser approach would have been to approach those sixty hours strategically. I will only get about 80,000 hours to spend on my entire career, with more annual hours at the beginning and fewer—not to mention less energy—at the end. So how could I have made the most of those sixty hours in the context of a finite 80,000-hour career? For starters, I could have begun with the end in mind. What was I trying to accomplish over those 80,000 hours? In other words, where did I want to be at the end of my career, and what did I want my colleagues to say at my retirement party? Once I set those goals, I should have analyzed how to get there, and what benchmarks I needed to hit along the way. Where did I need to be in twenty years? In ten years? In five years? Next year? Next month? Next week? To maximize my time as an associate, I should have allocated each block of sixty hours accordingly. An example may help to make this all a little more concrete. 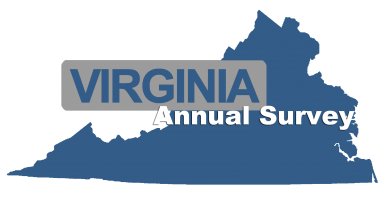 Say that I am a second-year associate, and my long-term goal is to become the best appellate lawyer in Virginia. I have decided that I will need a statewide reputation and fifty good appeals under my belt by the twenty-year mark. Within five years, I want to have argued five cases before the Fourth Circuit. My job as a second-year associate is to figure out what I can do this year—and this week—to get there. To begin with, I can critically evaluate my current job and the opportunities that it presents. Is this where I need to be? Should I pursue a clerkship instead? Would I get better experience working for the government? If I am in the right place, what should I be doing? Who are the potential referral sources for the type of work that I want to get, both inside and outside the firm? What am I doing to get in front of those people? Am I making the most of speaking and writing opportunities? What about social media? Should I be doing a blog or podcast? Will the firm sponsor pro bono opportunities that will let me get the type of experience that I want? Once I have identified the steps to take, my next move is easy. I just need to take them. A few more thoughts: if a lawyer in the firm controls the type of work that you want to do, approach her and tell her that you would like to work with her. You have absolutely nothing to lose. When presented with new assignments, weigh them against your business plan. Your time and energy are both limited; every time that you say “yes” to a new project, you are also saying “no” to something else. So make sure that you are saying “yes” to the right projects. But do so, obviously, with an eye to your standing in the firm; you cannot very well bill ten hours per week and turn down projects because they are inconsistent with your personal goals. First, run a thought experiment. If there were no rules of professional conduct or professionalism guidelines, what would you do? If the answer is that you would err on the side of caution—that is, you would not do what you are being asked to do—then that is the end of the analysis. Nobody says that you have to do anything that makes you uncomfortable just because it is allowed by the Rules of Professional Conduct. Those rules set minimum requirements—the ethical floor, not the ceiling. If a course of action that is technically permissible would keep you up at night anyway, do not do it. Second, do your research. Check the Rules of Professional Conduct and the Legal Ethics Opinions. Run a Google search or two. Figure out the doctrinally correct answer. Third, if it is possible to do so consistent with your duty of confidentiality, run the scenario by a trusted mentor. 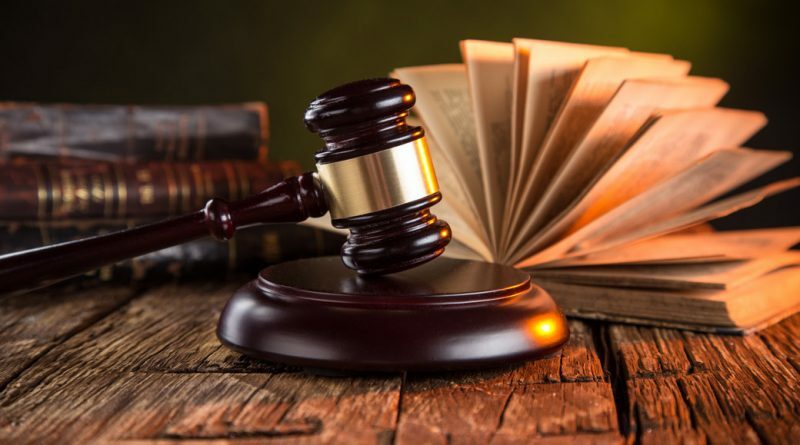 Consider not only the strict ethical implications of the proposed course of action, but also its potential reputational effects, both for you and for your firm. Fourth, if you are still inclined to go forward, contact the Virginia State Bar’s ethics hotline. They accept inquiries by phone or email. Send them an email outlining your situation and your assessment based on the research that you conducted in step two. The Ethics Counsel will either confirm your analysis (in writing), amplify it (suggesting additional possible ways to safeguard yourself and your client), or point out an error in your reasoning. Do what they say, and save that email. It documents your good-faith efforts, and it may come in handy if you ever face a bar complaint. And there, dear reader, you have it: five simple tips that would have spared me most of the pain that I experienced as a young lawyer. I hope that they serve you well. * Partner, Johnson Rosen & O’Keeffe, LLC. Earlier in the author’s career he practiced with Gentry Locke LLP and Skadden, Arps, Slate Meagher & Flom LLP. J.D., 2002, Harvard Law School; B.A., 1999, College of William & Mary.
. Bryan A. Garner, The Redbook: A Manual on Legal Style (3d ed. 2013). While The Redbook is essential, The Bluebook is an abomination for all of the reasons that Judge Posner pointed out years ago. See Richard A. Posner, The Bluebook Blues, 120 Yale L.J. 850 (2011). I have been using a version of Judge Posner’s simplified citation system for years, see id. at 854–57, and I have never been called on it.
. John E. Warriner, English Composition and Grammar: Complete Course (Benchmark ed. 1988).
. William Strunk, Jr. with E.B. White, The Elements of Style (4th ed. 2000).
. See, e.g., H.W. Fowler, A Dictionary of Modern English Usage (2d ed. 1965) (a usage guide); Black’s Law Dictionary (Bryan A. Garner ed. 10th ed., 2014) (a legal dictionary).
. Antonin Scalia & Bryan A. Garner, Making Your Case: The Art of Persuading Judges (2008).
. Mark Herrmann, The Curmudgeon’s Guide to Practicing Law (2006).
. Mark Herrmann, How to Write: A Memorandum from a Curmudgeon, in The Curmudgeon’s Guide to Practicing Law, supra note 6, at 1–8.
. Bryan A. Garner, The Winning Brief: 100 Tips for Persuasive Briefing in Trial and Appellate Courts (3d ed. 2014).
. Ross Guberman, Point Made: How to Write Like the Nation’s Top Advocates (2d ed. 2014).
. Matthew Butterick, Typography for Lawyers (2010).
. Stephen King, On Writing: A Memoir of the Craft (2000).
. William Zinsser, On Writing Well: The Classic Guide to Writing Nonfiction (2006).
. Steven Pinker, The Sense of Style: The Thinking Person’s Guide to Writing in the 21st Century (2014).
. See, e.g., Brian K. Johnson & Marsha Hunter, The Articulate Advocate: New Techniques of Persuasion for Trial Lawyers (2010) (giving advice on improving one’s public speaking).
. Again, I do not make any claim to original thought here. I just do not remember where along the way I picked these up.
. E.g., 6 Charles Alan Wright, Arthur R. Miller & Mary Kay Kane, Federal Practice and Procedure (2010).
. Kent Sinclair & Leigh B. Middleditch, Virginia Civil Procedure (6th ed. 2014).
. These numbers are absurd and inhumane, but that is a topic for another piece.
. This is not a remotely original observation. See, e.g., 80,000 Hours, https://80000 hours.org (last visited Nov. 2, 2017).
. See, e.g., Preamble: A Lawyer’s Responsibilities, Rules of Prof’l Conduct, Va. State Bar, http://www.vsb.org/pro-guidelines/index.php/rules/preamble/ (last visited Nov. 2, 2017) (explaining that while “[m]any of a lawyer’s professional responsibilities are prescribed in the Rules of Professional Conduct, . 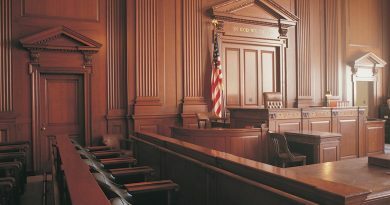 . . a lawyer is also guided by personal conscience and the approbation of professional peers”).
. Rules of Prof’l Conduct, Va. State Bar, http://www.vsb.org/pro-guidelines/in dex.php/ (follow “Rules of Professional Conduct” hyperlink; then follow hyperlink to appropriate rule) (last visited Nov. 2, 2017).
. Legal Ethics Opinions Online, Va. State Bar, https://www.vsb.org/site/regulat ion/leos (last visited Nov. 2, 2017).
. Professional Regulation: Ethics Questions and Opinions, Va. State Bar, https:// www.vsb.org/site/regulation/ethics (last visited Nov. 2, 2017). The Future of the Practice of Law: Can Alternative Business Structures for the Legal Profession Improve Access to Legal Services? November 30, 2016 lawreviewadmin Comments Off on The Future of the Practice of Law: Can Alternative Business Structures for the Legal Profession Improve Access to Legal Services?